Jade jewelry is an important tradition in the Korean culture. Korean jade is thought to have magical powers that can improve health, fortune and general well-being. Koreans also believe that jade can ward off evil spirits. Jade in Korea is also believed to signify the Korean personality of politeness and determination. The Korean royal family uses jade as a symbol of authority and fortune. Jade started to be mined and polished in 57 B.C. Jade was formed into ornaments and beads. The beads were used as decoration on crowns as well as used to make rings, earrings, bracelets and necklaces. From 918 A.D. to 1392 A. D., Koreans improved their carving techniques and were able to form objects and engrave designs into jade. 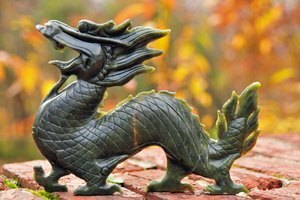 Koreans began to make more intricate objects with jade such as containers, wine cups and hairpins beginning in 1392. Jade objects and jewelry were only accessible to the upper classes and royalty. Jade jewelry became more common in the 1900s when mining and engraving techniques improved with technology. Koreans believe that jade can heal diseases and have used it as an ingredient in medicine. Jade jewelry is worn by Koreans to improve the health of kidneys, respiratory systems, heart, liver, spleen and glandular system. Koreans wear jade to protect their current health as well as improve existing ailments. There was a nuclear accident in Chernobyl where several children were injured in 1999. The children were brought to Korea’s main jade mine in Chuncheon. Koreans gave the children special jade spring water and also gave them clothing that had been washed in jade water. The children’s health is said to have improved from the treatment. Jewelry made with Korean jade was considered rare and expensive prior to the 1900’s. Royalty used jade to adorn their crowns. The jade was cut into hook or comma shapes and placed in prime locations on the crowns where the gems could easily be seen by onlookers. 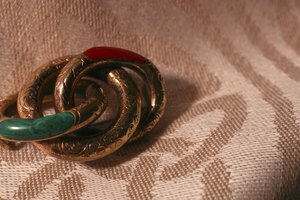 Royalty also wore jade that had been cut into beads as rings, bracelets, necklaces and earrings. 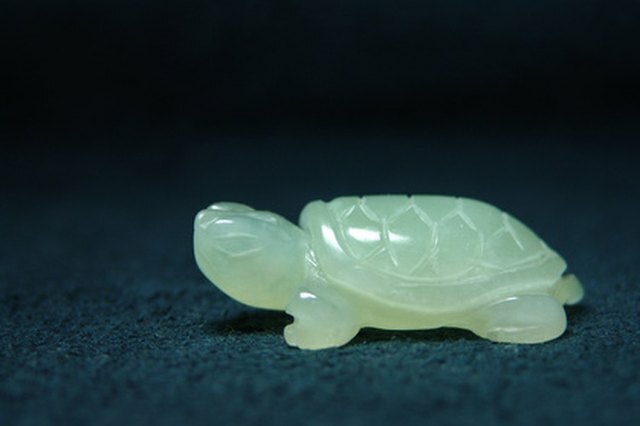 Jade was a status symbol for the royal family due to its symbolism of good health and fortune. Korean jade jewelry can be found in modern times throughout the globe. Jade beads are traditional in Korean jewelry and can be found in both antique and modern jewelry. Modern beads can be found in varying shapes from oblong to coin shaped. Korean jade can be found in earrings, bracelets, necklaces, hairpins, lapel pins, rings and belt buckles. 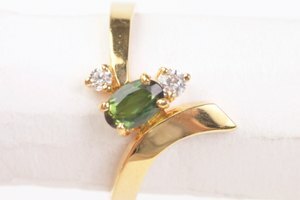 Jade is considered a semi-precious stone in Korea. The natural colors that are found in Korean mines are shades of white, black, yellow and green. Green is the most common color of jade mined in Korea. The Moh’s scale of hardness is how gemologists measure the durability of a mineral or gem. 10 is the toughest rating which would be a stone such as a diamond. The softest ranking is 1; an example of a 1 would be talc. Jade measures 6.5 on the Moh scale of hardness. This means Jade is dense enough to not break or shatter easily, yet soft enough to allow artisans to carve symbols or designs on the stone.